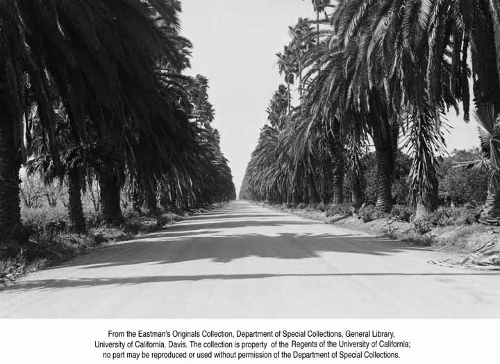 I live along an historic boulevard of beautiful Canary Island Date Palms, Phoenix canarensis. They are really majestic but they do drop a lot of fronds during much of the year. 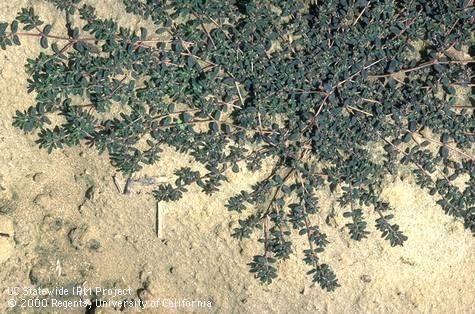 Anytime there is a breeze, one can expect to see the large fronds or flower clusters littering the ground around the base of the trees and the street. The dropping fronds are not really a huge issue in our area because the road is quite rural, and infrequently traveled. However, there are many plantings that are considered quite hazardous because there are a lot of cars and pedestrians under the trees. To reduce the possibility of injury, there are those who will drastically prune palms just to prevent the fronds from dropping later. I call this "preemtive pruning". Excessive pruning can be quite harmful. It reduces the surface area of the “energy system” of the leaves thereby weakening them. Excessive pruning can also open the palm up to serious decay and disease issues. The key to proper palm pruning according to palm expert Don Hodel, UCCE Environmental Horticulture Advisor in Los Angeles County, is to never prune the fronds off above the middle of the horizontal plane of the head of the palm. If you were to think of a clock, the fronds located below the 9:00 and 3:00 O’clock position are fine to remove. Don’t prune off any fronds above that point. When you do prune your palm trees, the ideal time is when the weather is dry to prevent disease problems from occurring. Apricots and cherries can have a fairly short lifespan in many climate zones in California due to a disease called Eutypa. 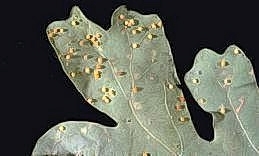 This disease is able to invade through pruning wounds especially during the wet winter months. 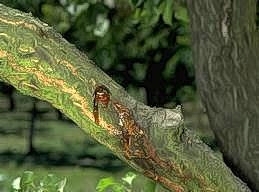 This disease causes limbs or twigs to wilt and die suddenly in late spring or summer with the leaves still attached. The bark may appear dark with an amber colored gumming on the branches. 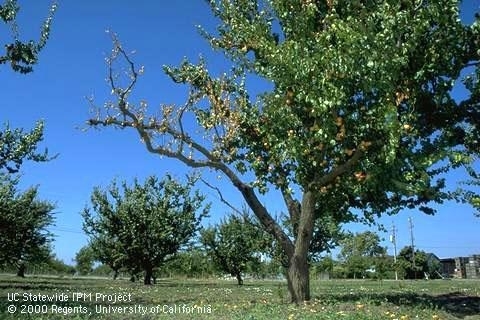 To combate that the disease and reduce the potential for Eutypa to infect trees, you should begin pruning your apricot and cherry trees during the later part of summer and early fall at least 4-6 weeks prior to rainfall. However, realize that you may be opening your trees to sunburn with summer pruning so be sure to paint exposed branches with a diluted white latex housepaint with 50:50 water to paint mix. Also avoid pruning if you are going to have an extended period of 100 degree plus weather.